Torticollis, or wryneck, is a condition where a child’s neck is twisted, stiff, painful or sore. The child may also seem “fussy” or agitate easily. Often times, this condition causes the head to tilt to one side while the chin tilts in the opposite direction. Torticollis affects an estimated 0.5% of newborns, and is more common in breech babies. It is important to realize this percentage only includes diagnosed cases of torticollis. 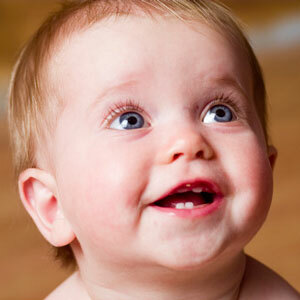 Many newborns have head tilts and leans that go noticed or ignored by parents. Torticollis can be caused by the trauma of birth or poor positioning inside the mother’s womb, which can damage the muscles and nerves in an infant’s neck or spine. These damaged muscles and nerves cause infant’s head to tilt and lean. A common injury found from birth trauma and poor in utero positioning is the misalignment of the first and/or second bone in the infant’s neck. This injury can cause nerve dysfunction and muscles to tighten, which can cause torticollis. Dr. Godfrey Gutmann, a medical researcher, discovered that over 80% of the infants he examined after birth were suffering from cervical spine (neck) injuries, causing many types of health problems including torticollis. Chiropractic care focuses on correcting problems of the spine, nerves and muscles. As mentioned previously, the primary problem that causes torticollis is misaligned bones in the neck, which can cause muscles to tighten and nerve dysfunction that leads to the head tilt and head lean of infants. By aligning the misaligned first and/or second bone in the infant’s neck, the tight muscles are able to relax and nerve function restored, thus effectively correcting the torticollis. Want more information on chiropractic and torticollis? Please visit the International Chiropractic Pediatric Association website, which has 13 research articles on this very subject.